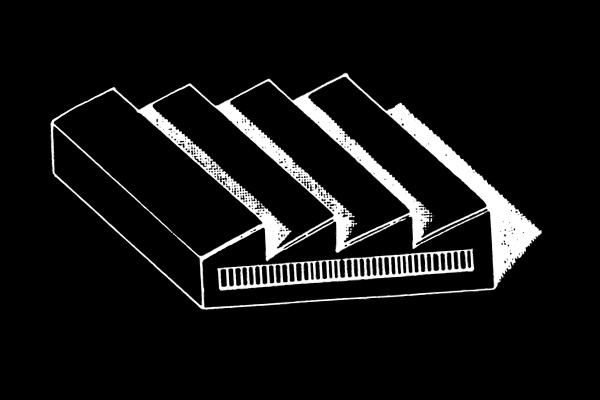 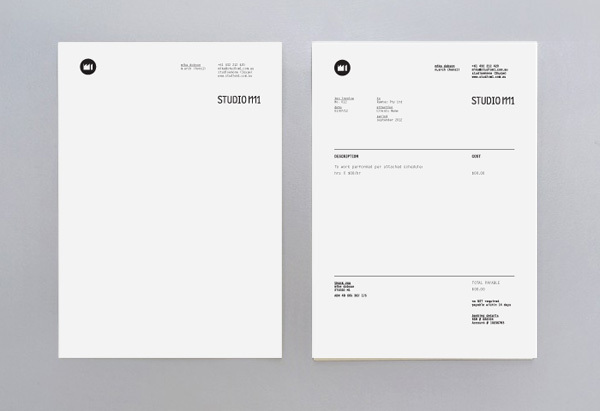 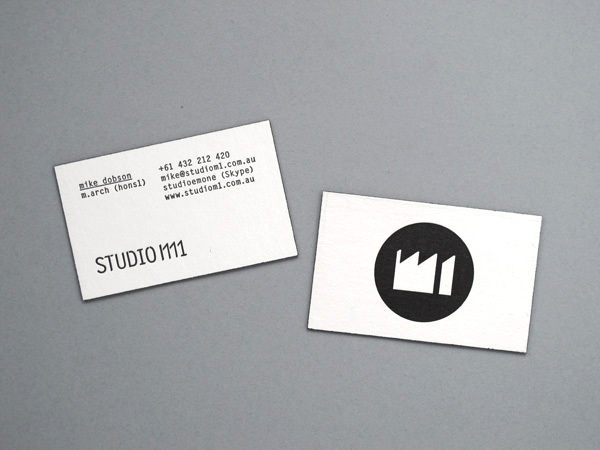 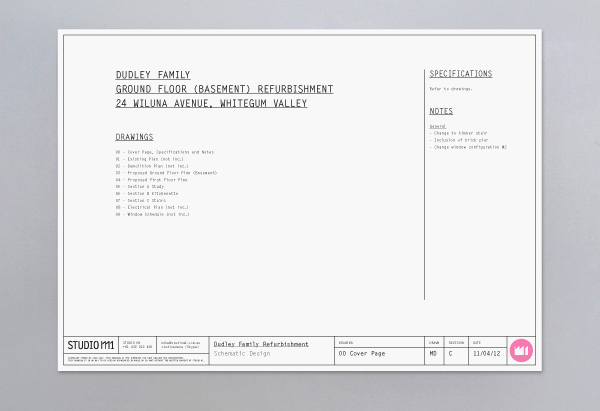 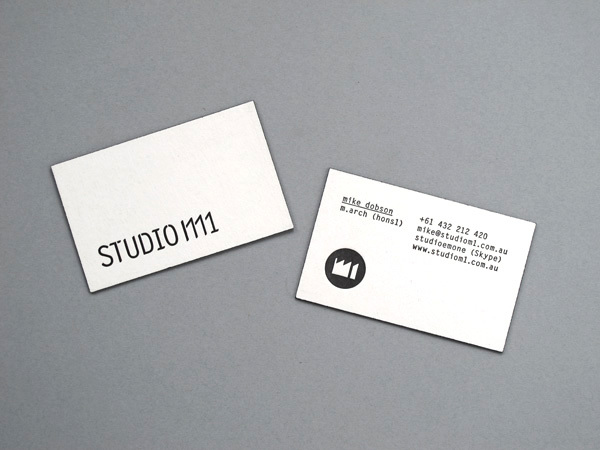 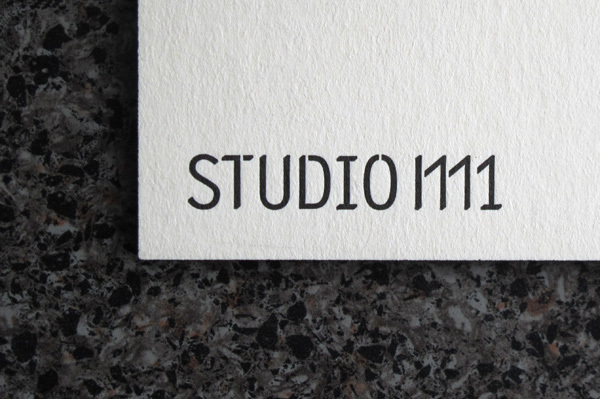 Identity and stationery design for architecture practice, Studio M1. 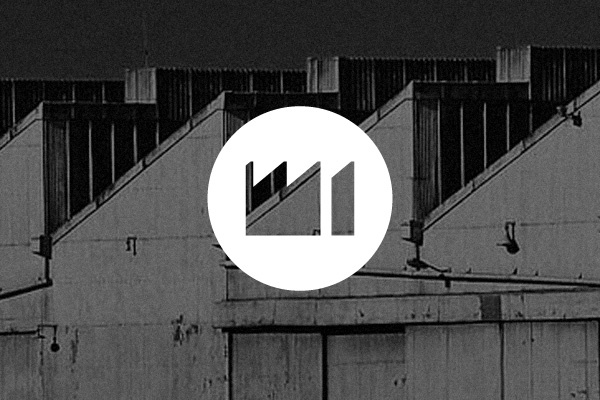 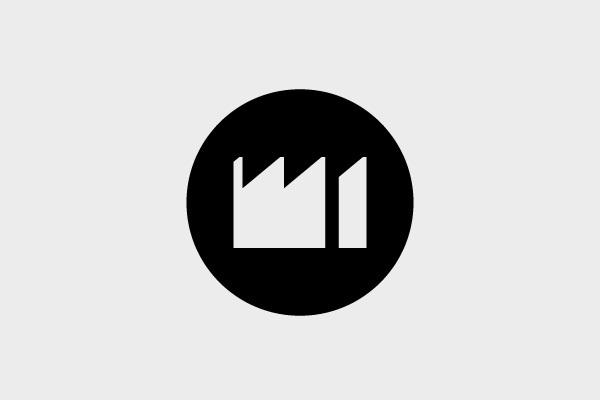 The client's interest in graffiti culture and decrepit urban forms inspired the warehouse, saw-tooth style lettering of the logotype and symbol, which the letters 'M1' seemed to adapt to with ease. 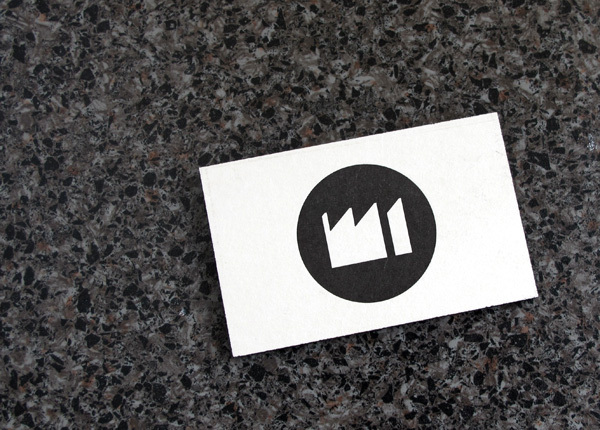 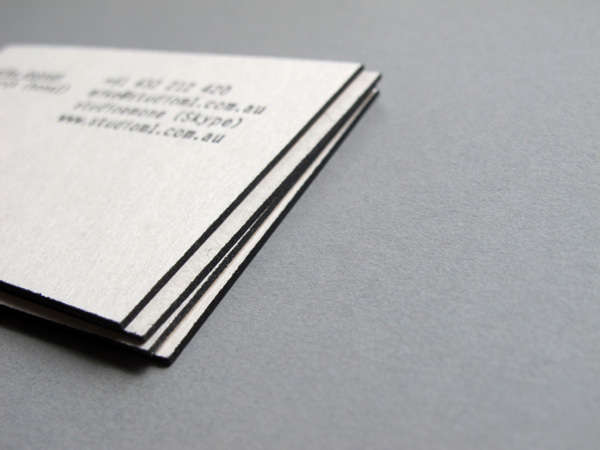 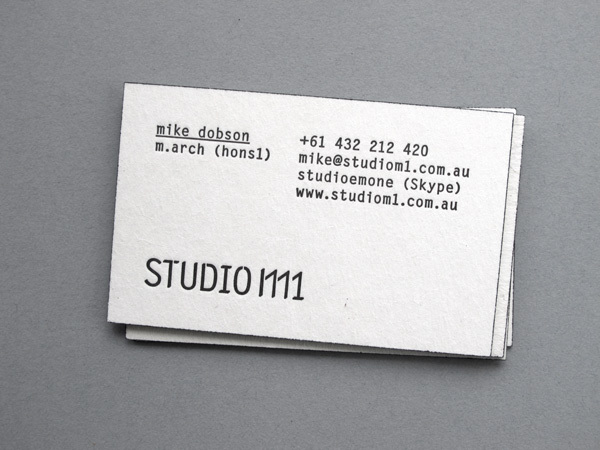 Two versions of the business card were designed and letterpress printed on coaster board, with black edge-painting to make the most of the thicker-than-normal format. 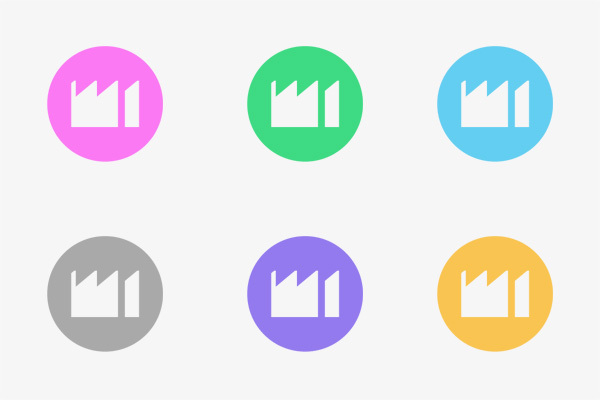 A range of spray paint inspired, colourful variations of the symbol were created as stickers to colour code project stages for presentations.